Last October 2nd, Fikret Abdić, probably the most paradoxical figure in Bosnian politics over the last three decades, was elected mayor of Velika Kladuša. It was not a foregone conclusion, given his 77 years, ten of which recently spent in prison. Yet, the messianic attachment of his supporters, who dream of Babo's ("Daddy") absolute leadership as a way back to the industrial mirage of the eighties, prevailed. After 23 years, Abdić visited Sarajevo for the first time on November 8 , to oficialize his new position as the new mayor of Velika Kladuša accoridng to the procedure envisaged by the Central Election Commission (CEC) of BiH. Velika Kladuša is located in the heart of the Cazin Krajina, a region in the far north-west of Bosnia and Herzegovina, with a tradition of poverty, autonomism, and local rebellions. The region counts with a strong Muslim majority but is also far from Sarajevo in terms of geography, power centres, economic and social relations. 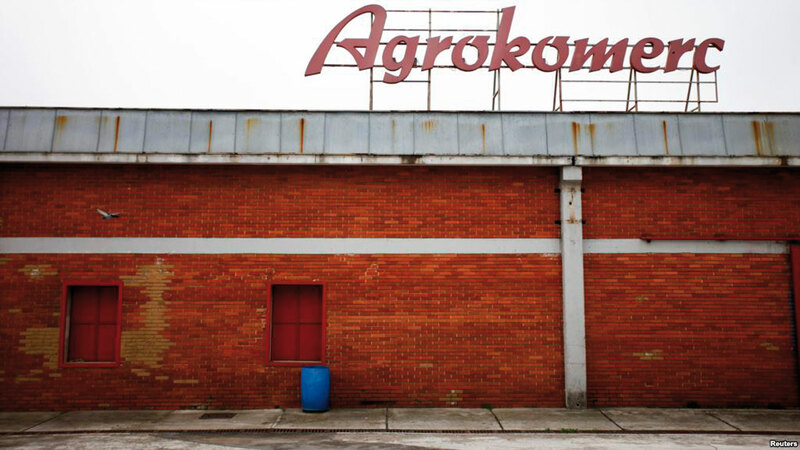 Here, starting from the early seventies, Abdić turned small agricultural cooperative Agrokomerc into a Yugoslav food industry giant – a "miracle" based on high-level political protections and the ability to move between the gray areas of socialism and market openings with megalomaniac investments, aggressive marketing, and even industrial espionage . Iconic products of the company include the Vegedor spice, a copy of the Croatian Vegeta, and the Tops biscuits, imitation of Serbia's Jaffa. Agrokomerc went from 30 employees in 1963 to over 13,000 in 1987, turning Velika Kladuša into one of Bosnia's richest municipalities. A personality cult developed that lasts to the present day – Babo became the party's plenipotentiary in the area and even received a military parade in his honour on the streets of Kladuša. Yet, in the summer of 1987, it turned out that the Agrokomerc business was based on insolvent promissory notes. The financial crash shook economics and politics, leaving Abdić in prison and thousands of unemployed. Even today, several unresolved issues divide historians and their narratives of the Yugoslav dissolution – some speak of a plot by Belgrade against Bosnia and Herzegovina and the Muslims, others of simple political and financial negligence. What is certain is that, at the time, Abdić emerged from the mess more popular than ever – released from prison in 1989, he marketed himself as a man of action and a victim of the system, impeccable credentials in view of the Republican elections of 1990. Everyone wanted him – Ante Marković's reformists, who seemed to be favoured (a delegation led by Emir Kusturica travelled to Rijeka, where Abdić was on vacation, to convince him); the Muslim nationalists of the SDA; even the communists, who he felt had betrayed him. Eventually he chose the SDA, for purely pragmatic reasons. Abdić was, and has always remained, a stranger to nationalism, but he was convinced that this was the winning option that would leave him free to take back control of Agrokomerc, his true obsession. Babo was the most voted in the elections for the collective Bosnian presidency with a million votes, over 200,000 more than party colleague Alija Izetbegović who, however, took the seat of President of the Republic and maintained strong hegemony in the party. The differences between the two became irreconcilable with the beginning of the war. Abdić proved indifferent to the fate of the country, acting on his own and keeping separate contacts with the Serbs and Croat nationalists – he wanted to return to Krajina. He picked his birthday, September 29th, 1993, to declare the Autonomous Region of Western Bosnia, which terminated ties with Sarajevo and supported itself with what remained of the Agrokomerc system, a thriving smuggling business and, above all, liaising with Croatian and Serbian militias. The result was a fratricidal conflict within the Muslim camp. Abdic's troops committed torture and massacres against civilians, set up concentration camps, and subjected "their people" to terrible suffering, even when Babo's statelet collapsed in August 1995. In this, he was no different from other politicians and warlords. However, argues writer Muharem Bazdulj , in forms and motivations he resembled a South American or post-Soviet dictator rather than a post-Yugoslav leader. Bazdulj writes: "Abdić has never hidden behind pompous nationalist demagoguery. He never cited King Tomislav, Prince Lazar, or Ban Kulin, nor a 'sacred historical tradition of his own people'". He is the paradigm of "neo-feudalism", a compulsory reference for those seeking to explain the Yugoslav conflict through the lens of the ethnic hoax, investigating offshore investments and crime, exasperated localism, and transversal synergies rather than the identity dynamics based solely on nation and religion. Abdić took refuge in Rijeka under the protection of Franjo Tuđman, but had to face justice when Tuđman died. In 2002, a Croatian court sentenced him to twenty years (later reduced to ten) for war crimes, to be served in Pula. However, Abdić's political career survived – he founded a new party, the DNZ, localist and familist (controlled by his daughter Elvira), that ruled in Velika Kladuša from 1998 to 2012 and maintained a constant presence in the Federal Parliament. Above all, that peculiar "imagined community" survived, founded on non-national myths and rituals – nostalgia for the industrial welfare, the leader's birthday (each September 29th, buses full of supporters would drive from Krajina to the Pula prison to greet him), and community divisions as consequence rather than cause of the war. In Kladuša, a latent rift remains between Muslim autonomaši and Muslim korpusovci, or between followers of Abdić's autonomism and those who remained loyal to Peti Korpus , Sarajevo's regular army unit. Therefore, Abdić's success is not a surprise in a context of economic marginalisation and lack of political alternatives – Kladuša counts 4,200 employed and 8,500 unemployed (AlJaazeraBalkans ). However, there are several legal and moral issues. In Bosnia and Herzegovina, war criminals who have served their sentence are not banned from public office. Abdić, free from 2012, was therefore able to run for mayor of Kladuša. This has generated protests from the associations of concentration camp survivors and criticism among analysts , concerned about negative effects on reconciliation. Yet, Abdić's victory is anything but a triumph. With 48% of the votes, he did not obtain the absolute majority and will be forced to seek allies. Since 2013, the DNZ has fragmented and Abdić founded a new party, the Labour Party, which lost some followers. His promise to "recover Agrokomerc" is likely to remain vain. As explained to OBC Transeuropa by Amir Purić , a journalist from Velika Kladuša, what remains of the company is in the hands of the Federation of Bosnia Herzegovina, politically hostile to Abdić. Only a small part of the infrastructure is still functioning and is rented to private companies, with just 300 employees, while new debt piles up for approximately 15 million Euros. "Abdić's supporters do not understand that running a company in socialism is not the same as being mayor of a municipality in capitalism", glosses Purić. That is how, in 2016 Bosnia, there is still room for Babo and his fluid autocracy, masterfully contained in his most famous expression: "I do not support any option, I do not have any idea, and I agree on everything".